Think Pulis is making observations based on what he and the fitness dept. see. Our record regarding player fitness and injury levels would be way way better than Arsenal's. Yes it was a bit of a strange saga. 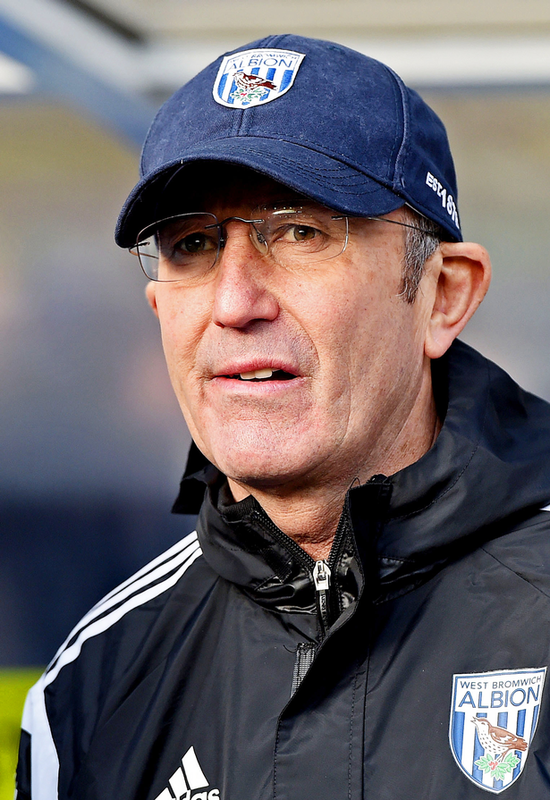 Pulis saying that he spoke to Steve Bould and Gerry Peyton (GK coach) before signing him.....not sure where the story of dodgy character references came from. Maybe 13M they didn't feel it was worth the risk but at 5M they did? From the comments I read I took it to mean they wanted him to add some muscle to his body to help him avoid the kind of injuries his career has been plagued with so I've no issues with that. Seems clear that Arsenal have issues when it comes to keeping certain players fit and that has to come down to their medical department and/or training methods. When it comes to coaching it will take a while for him to adapt to the way Pulis will want him to play, lets be honest he's not done a lot of work defensively for Arsenal over the years so that's a massive part of his game that will need improving. I am really not sure about this I know we got him for a bargain price but a bargain isn't a bargain if the player does what you want him to do. We are talking about a 27 year old with over 200 plus first team appearances who needs to bulk up defend better and adapt to the way Pulis wants him to play (shouldn't be too difficult just don't venture past the halfway line make sure you tuck in tight the the nearest Centre Half) wouldn't it be simpler just to buy a player Pulis actually wanted. If rumours about Wimmer as a converted left back had any basis in fact you have to think Pulis would have been a hell of a lot happier with that option. Wimmer didn't want to come here and play left back so it wasn't an option at all. If rumour is true but it does show the mindset of the coach and Wimmer & Gibbs are about as different as you can get. Looked promising. Doesn't offer much by way of a final ball which I knew from watching him for a number of years, but looked good defensively and was at least willing to run with the ball and commit defenders. Will be a good addition I think. Great to see a proper left back Saturday. Played well the lad. I really enjoyed watching a proper left back last night. He got up and down the flank well and looked good defensively. Put in good balls from crosses and corners. Played well against Arse, MOM for us in my opinion. Hope we can keep him fit, looking a real asset at the moment, well done son. He played alright during open play BUT his set piece delivery was very poor (surprised he was the nominated taker), he wasted the two corners we won and a couple of free kicks in promising positions. The balls in either failed to beat the first man or were too high and slow to the back post. Given how important set pieces are to our set-up we badly miss Brunt not being on the pitch to take them or at least Phillips. Hard to argue with that. You're right that as CB is likely to get less game time this season, we do need a.n.other to create the chances on set pieces. Have to agree class act. you can see his quality on the ball, that's the pedigree from playing for a team who play football and encourage passing. Easily our best defender at this time. We have a left back who can play, can't remember when I last said that. Good game and quality player, good attacking threat but pleased to see he can defend aswell. For the price we got him absolute bargain. Hey swad I completely agree with you about Gibbs,he is a class act and has settled in very quickly, I think our squad will see this and step up their game also.